Danielle is the founder and owner of Mindful Turtle. She has had a dedicated yoga practice for over eighteen years and has studied many traditions of classical yoga, particularly the Ashtanga Yoga Method, developing a respect and appreciation for yoga and its life changing possibilities. Her classes are motivating, inspiring and compassionate. Her training includes both a 200 and 500 hour yoga teacher training from the Yoga Teacher Training Institute under the guidance of Ma Mokshapriya Shakti and Marianne Mitsinikos. She has an additional 500 hour certification in Classical Ashtanga Yoga with Beryl Bender Birch of The Hard & The Soft Yoga Institute. In addition to being a faculty member of Beryl’s teacher training program, she has assisted Beryl at various workshops and trainings around the country. She is forever a student and continues her study of Ashtanga Yoga locally with senior Ashtanga teacher Christine Hoar. Danielle is a compassionate teacher with a skillful eye offering precise adjustments making the Ashtanga Yoga Asana practice fun and accessible to all. Danielle is also a parent and child counselor with over twenty-three years of experience in the fields of education and counseling. She holds a Master’s Degree in Counseling from CW Post University, is a Nationally Certified Counselor, and is Certified Yoga Therapist. 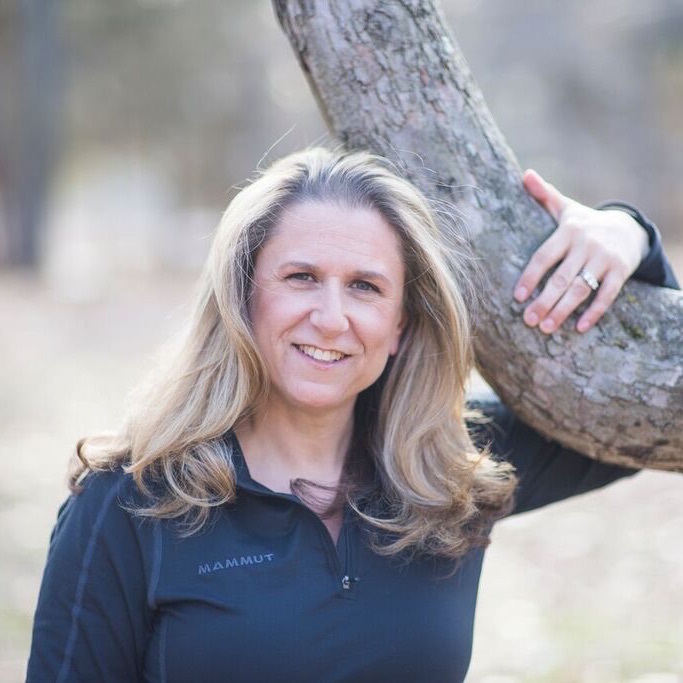 She specializes in developing therapeutic yoga practices for those recovering from trauma, and serves on the board of The Morgan Center, a preschool for children undergoing chemotherapy.